Selection of Standard Size 2 inch in Width x 6.7 inch in Length(5 x 17 cm) Plain Sports Terry Cloth Headbands. Our original headband is a real beauty to look at and wear. The terry cloth is "out of control" absorbent while being insanely soft. The elastic won't cut the blood off to your brain either. You will probably forget its there. 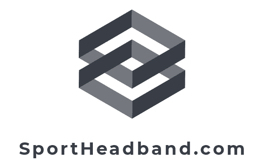 The simple 2color stripe regular size sport headband is a great way to add a little style to your uniform and still keep things functional. Our bi-color sport head band is one of the best-selling head bands because it is easy to match your team's theme color. There are colors on black and white on color so you have many choices. Check out all of the combinations and find what you want.